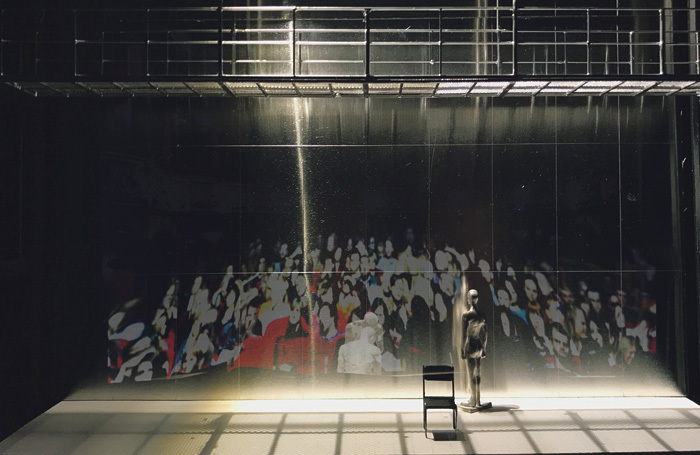 Basia Binkowska, winner of the 2017 Linbury Prize , the UK’s most prestigious award for stage design, and nominated for best designer at The Stage Debut Awards  is explaining her latest project, Othellomacbeth. “Human condition, the power of the patriarchy, and how the men kill the most important women in their lives: the link’s obvious when you look at them side-by-side,” she says. It’s a two-for-one kind of show directed by Jude Christian, combining two of Shakespeare’s best-known tragedies in one production – Othello in the first half and Macbeth in the second. It’s also a mammoth undertaking. Not only does the set change to depict a different play part way through, but the play is also transferring from Home in Manchester  to London’s Lyric Hammersmith  with just a week between the two. The designer has to ensure that the emotional impact of the sets won’t be affected in the transfer. “Othello’s stage feels stuffy, claustrophobic even, but the staging for Macbeth, in the second half, is much more open. I call Othello’s set the oven, because the tension is extremely high and suffocating, and Macbeth’s the freezer.” The freezer? It should transfer you to a chilling place where conditions are inhumane, says Binkowska. She moved to the UK five years ago to study at the Royal Conservatoire of Scotland after growing up in Poland, where she had an extremely creative childhood. When audience members enter the auditorium, the first thing they see is a huge metal wall. The actors have around 2 metres’ depth of space at the front of the piece of staging – it’s designed to be extremely shallow and claustrophobic. “The audience is also slightly reflected in the sheet of aluminium at the front of the stage,” says Binkowska. 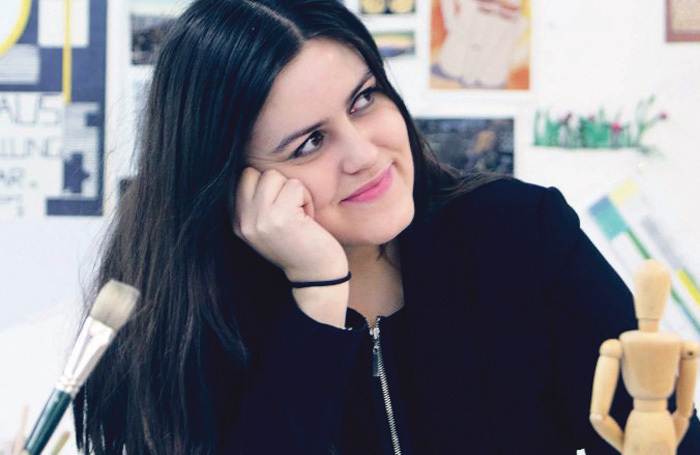 She designed the set over the past year, since winning the Linbury Prize in November. At 16, I worked on a film festival in Poland that took place in an opera house, so that’s still probably connected with the theatre. If you hadn’t been a set designer, what would you have done? Something to do with languages. It’s more technical than you think, but keep and prioritise your ‘artist’s mindset’ first. It’s not the only difference Binkowska has found between theatre in her native land and the UK. Here, theatre is entertainment, she says. It’s a way to pass an evening. But in Poland, it’s extremely political, and it’s art. It’s all state-funded, and Polish theatremakers have always been fighting against something, whether that’s being under Soviet rule, or when the wall came down. Emotion plays a big part in Binkowska’s set-design process. “I’m probably slightly too emotional with my work,” she says. “I aim to make the final set feel like what the text felt to me when I first read it, that feeling inside.” When she designs, her goal is to transport the audience to the colours she saw and the sounds she heard when she first read a text, and then work closely with the director to transform that into a reality. Even after discussing her work, thinking about her processes, and looking at the rest of the year’s projects, it seems Binkowska still has to pinch herself that this is her life right now. This year, she designed Devil With the Blue Dress  at the Bunker Theatre followed by Reactor at Arts Ed. After Othello-macbeth comes Cuckoo at the Soho Theatre.